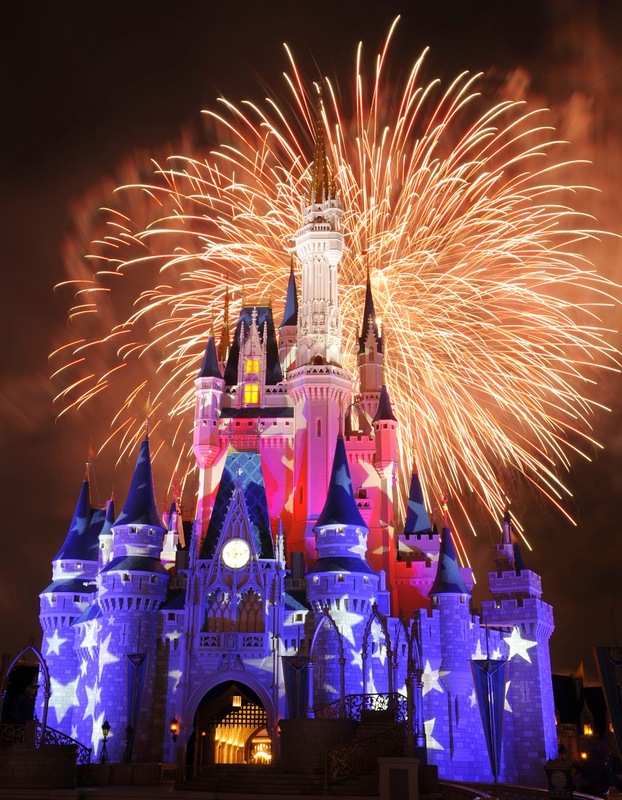 Disney Parks guests can get their red, white and blue on this Independence Day during a special tribute to the stars and stripes July 3 – 4, 2014 at Walt Disney World Resort. On July 4 at Epcot, Guests can meet some favorite Disney characters dressed in patriotic attire outside The American Adventure and catch a performance of the Spirit of America Fife and Drum Corps (performances at 1, 2:15, 3:30, 4 and 4:45 p.m.). The Voices of Liberty will perform at America Gardens Theatre at 12:30, 1:45, and 3 p.m., and inside The American Adventure Rotunda at 4:15 and 5 p.m. The evening will culminate with “IllumiNations: Reflections of Earth,” a dazzling display of pyrotechnics, at 10 p.m., followed by a heart-pounding, grand finale in a salute to America. At Disney’s Hollywood Studios, guests can enjoy a twist on traditional fireworks with the “Rockin’ 4th of July Celebration”. The party begins at the Sorcerer’s Hat stage at 6 p.m. and continues through 11 p.m. on July 4 with live entertainment from “The Hollywood Rockers,” who will take guests on a musical road trip through America. Everything leads up to a special rock ‘n roll fireworks presentation at 10:15 p.m. Note: Special expanded show times for Don’t Look Back (Sounds Like Summer concert series at Epcot) on the Fourth of July are 5:15, 6:30, 7:45, and 9 p.m. 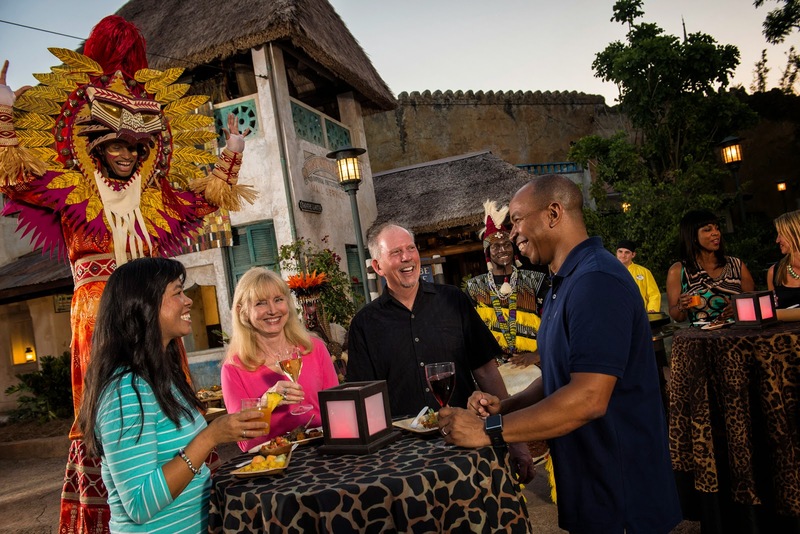 Guests can join in the celebration of the 20th anniversary of the Oscar-winning film “The Lion King” this summer at Disney’s Animal Kingdom during “Harambe Nights,” an evening entertainment and dining experience. General admission tickets for Harambe Nights run $119 ages 10 and up; $79 ages 9 and under. Premium floor seating tickets run $134 ages 10 and up; $94 ages 9 and under. The event runs Saturdays from 7-10:30 p.m., and parking is complimentary. To reserve tickets for Harambe Nights, guests can visit Disneyworld.com/HarambeNights or call 407-939-1319. Feel the rhythm as an assortment of high-energy bands pay tribute to the legends that inspired them. 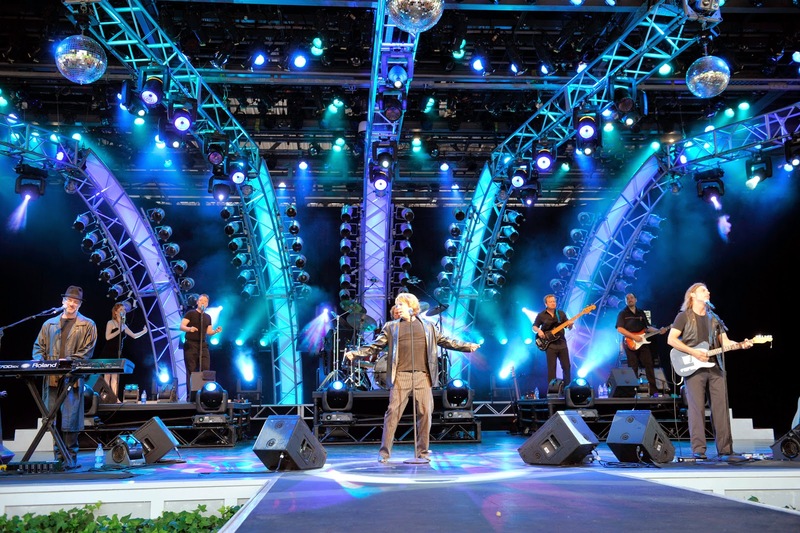 This rockin’ seasonal party packs in musical acts each week at America Gardens Theatre in World Showcase at Epcot. Show times are 5:30, 6:45 and 8 p.m. – except on July 4 when expanded show times are 5:15, 6:30, 7:45 and 9 p.m. Sounds Like Summer concerts are included with Epcot admission (Entertainment subject to change without notice). 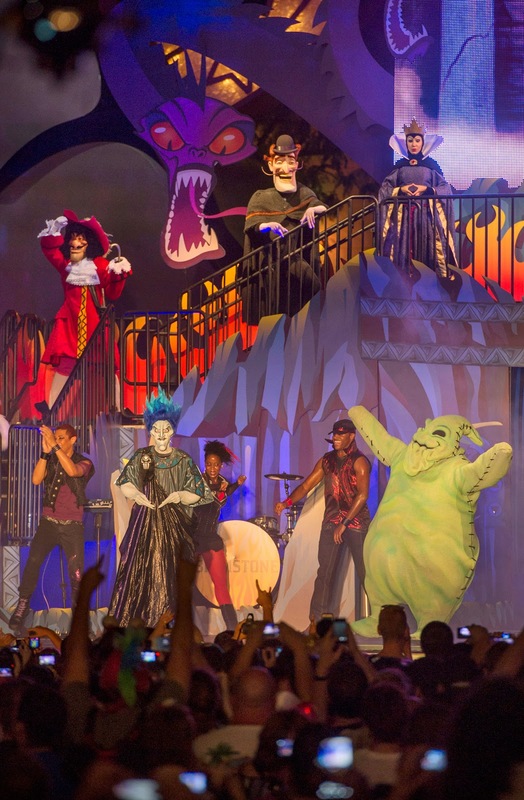 The one-night-only event party will feature up-close encounters with some of the most popular Disney villains, “Hades Hangout & Dance Party,” “Oogie Boogie’s Variety Show,” a Star Wars villain zone, a new “Villainy In The Skies” fireworks spectacular, a villain-inspired pre-show to “Fantasmic!” and more. Guests may purchase tickets at DisneyVillainsParty.com or call 407-939-1933. 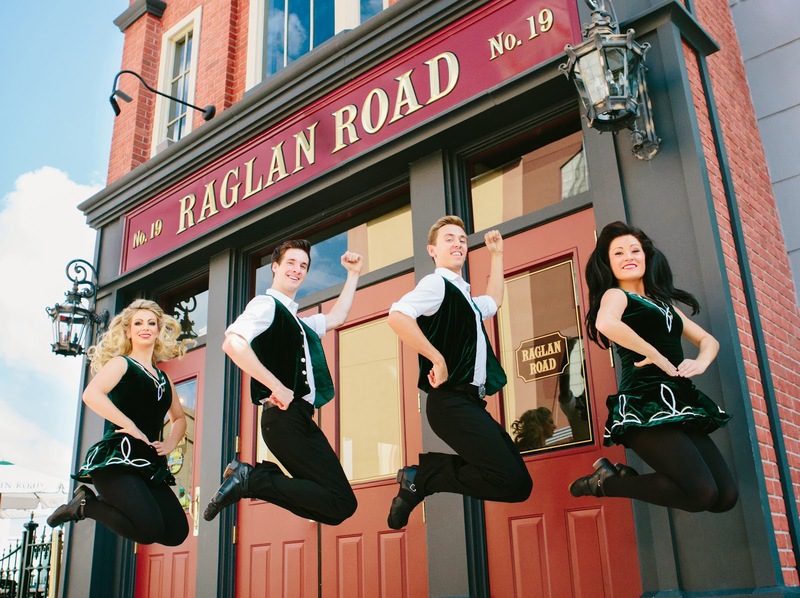 Central Florida’s only Great Irish Hooley celebrates its third annual event August 30 – Sept. 1 with the electric energy of live Irish music, authentic step dancing, first-rate food and interactive fun at Raglan Road Irish Pub & Restaurant in Downtown Disney. A traditional Irish social celebration, the “Hooley” combines music ranging from traditional to rock tunes with entertainment and interactive fun for the whole family. Labor Day weekend guests can enjoy authentic Irish cuisine and beverages and a memorable long weekend of top Irish talent, including award-winning bands and performances by the Raglan Road Dancers. Scythian, a headliner on the Celtic festival circuit and equally at home in rock venues – the band will release a fan-funded album in August. The Raglan Rebels, Ireland’s best up-and-coming young band with traditional and modern songs and ballads. Guests can beat the summer heat and dive into fun at Walt Disney World Resort water parks. 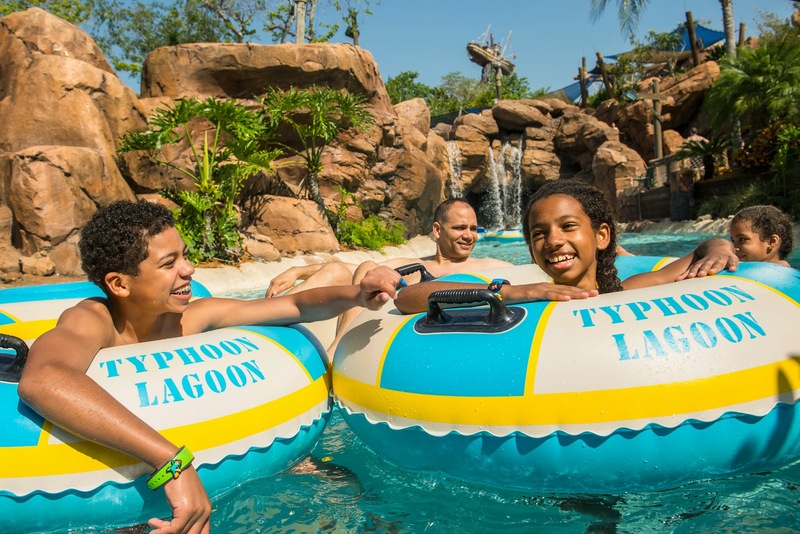 With dozens of water slides, sandy beaches and lazy rivers, Disney’s Blizzard Beach and Disney’s Typhoon Lagoon water parks provide guests with the perfect place to cool off this summer. As Disney’s Typhoon Lagoon celebrates its 25th anniversary, new healthful food options such as the Shrimp Wrecked Salad and the Tropical Chicken Salad have been added to the menu along with some sweet treats such as the chocolate chip waffle with fresh fruit sprinkled with cinnamon sugar. At Disney’s Blizzard Beach, guests can ‘hit the slopes’ on ski-themed water slides or lounge around. For an additional charge, guests can reserve a Lodge Picnic Umbrella or Polar Patio – shaded spots with personal touches and extras such as towels and bottled water. For the most up-to-date park hours, guests can visit Disneyworld.com/water-parks. Four Seasons Hotels and Resorts is planning an August opening for a luxury resort hotel at Walt Disney World Resort. Four Seasons Resort Orlando at Walt Disney World Resort will feature several dining venues including a rooftop restaurant with views to the Magic Kingdom, a 14,000 square foot spa, fitness center, three pools and a “lazy river” sports and recreational area, as well as meeting and event space, and a business center. This first Four Seasons in Central Florida is located within the Golden Oak residential community, created and master-planned by Disney. On the heels of the FIFA World Cup, nearly 200 elite youth soccer teams will compete in the Disney Cup International youth soccer tournament at ESPN Wide World of Sports Complex at Walt Disney World, July 14-19. For 15 years, the Disney Cup International, presented by AS Roma, has attracted teams of boys and girls (ages 9-17) from around the world and this year will feature teams from more than 20 countries, including Brazil, Great Britain, Mexico, Puerto Rico, Malaysia, the U.S. Registration remains open at www.espnwwos.com. Midwest Soccer Academy has teamed up with Disney Sports for the fourth annual Disney Soccer Academy Superstar Edition at ESPN Wide World of Sports Complex at Walt Disney World Resort. Young athletes can play and learn side by side with professional English Premier League and Brazilian soccer players. The event is held over a four-day period with athletes ranging from age 5 to 18 participating July 7-10. Registration remains open at www.espnwwos.com. AAU has several National Championships in various sports, including basketball and track and field, taking place at ESPN Wide World of Sports Complex. These events typically attract the nation’s top players, many of whom are among the most highly-recruited collegiate prospects. Many current NBA and WNBA stars competed in this AAU National Basketball Championships in the past. ESPN Wide World of Sports will host these championships events from July 4-13.